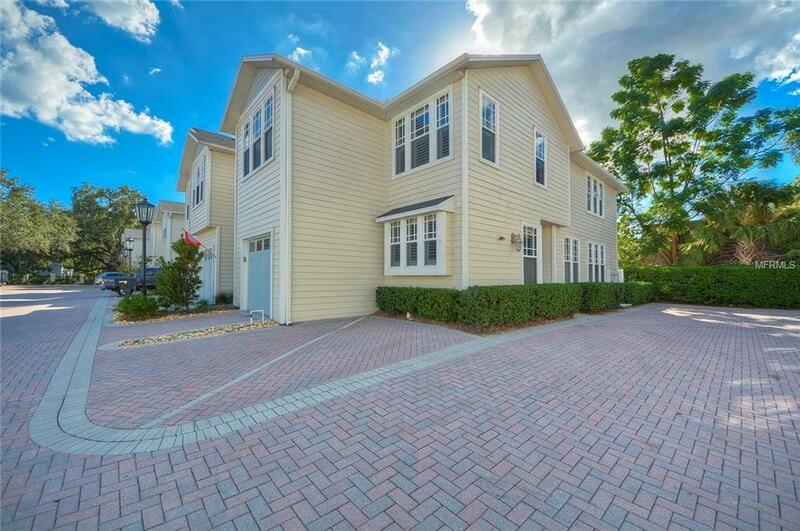 Rare opportunity to live in the gated South Tampa community at The Village Gate of Hyde Park! Absolutely stunning townhome right in the heart of Hyde Park and South Howard/Bayshore area! Walk to any of the great restaurants on South Howard and Hyde Park Village or go for a run on beautiful Bayshore Boulevard ! This end unit townhome is perfectly situated in the community away from other buildings providing bright light to come through your plantation shutters on those sunny Florida days! Relax at the pool or cook out in the privacy of your Trex deck patio with direct gas connection to your BBQ Grill. Convenience abounds with your garage and parking right in front of your townhome. Eat-in kitchen includes stainless steel appliances, natural gas, granite countertops, under cabinet lighting, and plenty of pantry space. Living and dining room include fireplace with beautiful maple wood floors as well as large closets. Upstairs bedrooms includes walk-in closets with easy access to washer/dryer and recently renovated master bathroom which includes walk in shower with heated mirror, bench seat, and multiple shower heads for spa like environment as well as duel sink and vanity areas with deep soaking bath tub. Impeccable landscaping with paver roads and driveways in this well managed community. Monthly HOA fee ($420/month) covers all exterior building maintenance and insurance, reserves, water, sewer, trash, security gate, main landscaping, and pool.